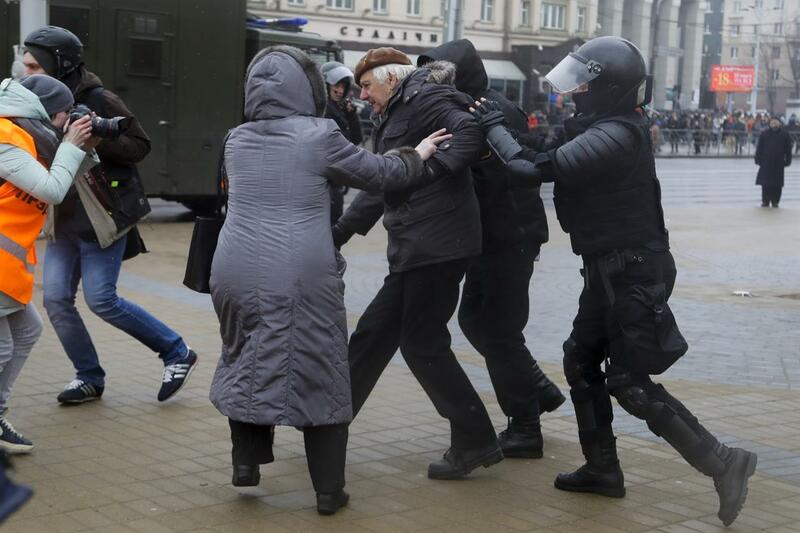 "They grabbed everybody indiscriminately, both young and old. 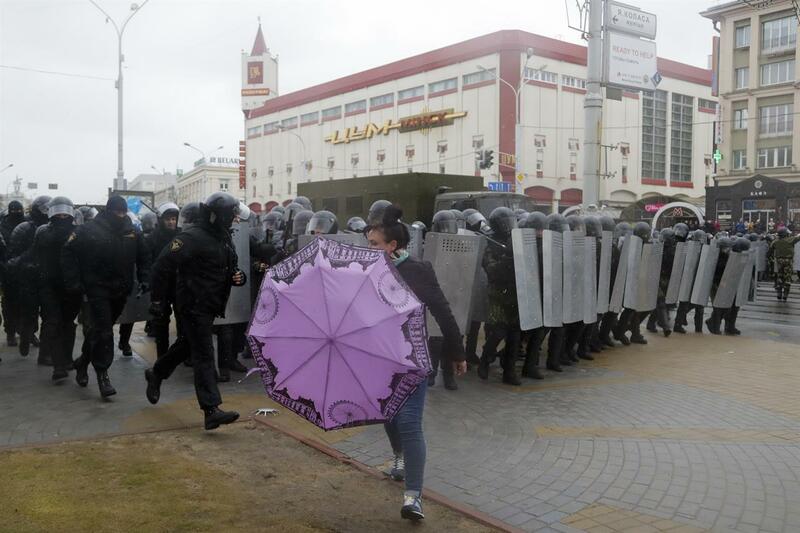 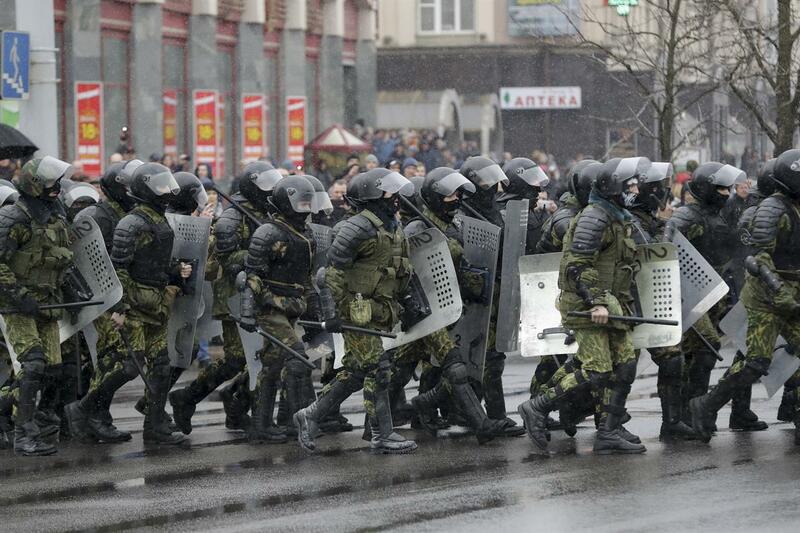 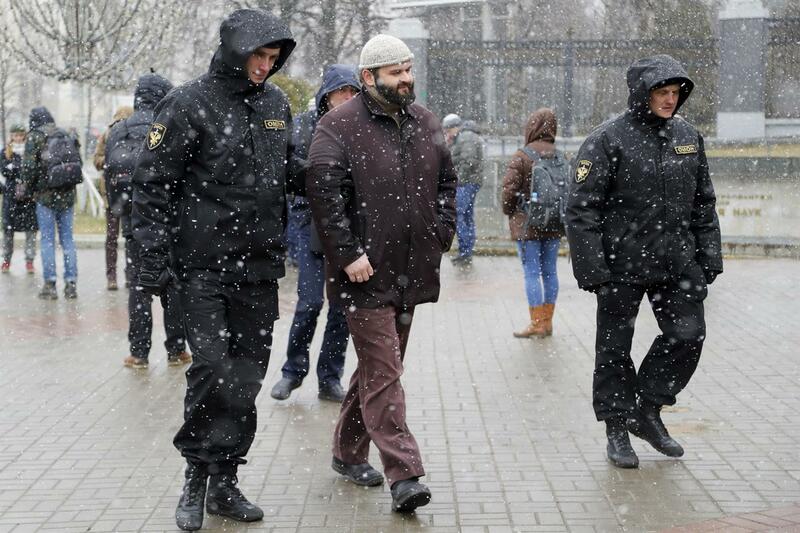 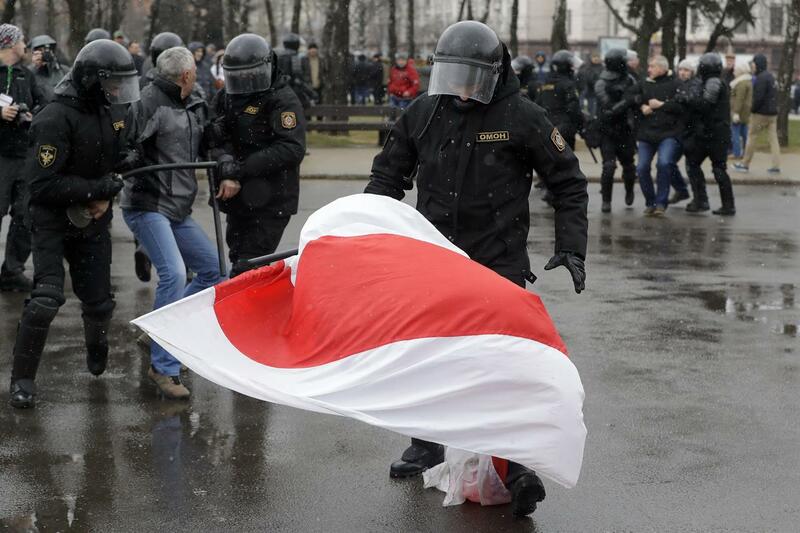 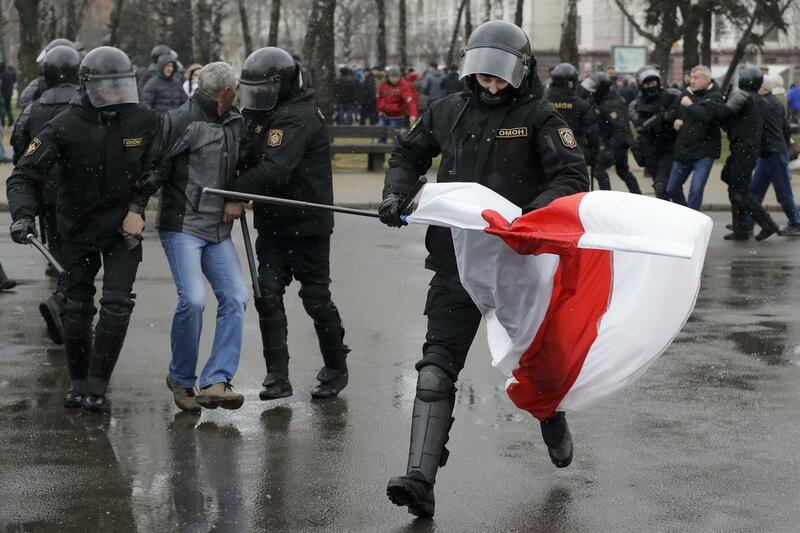 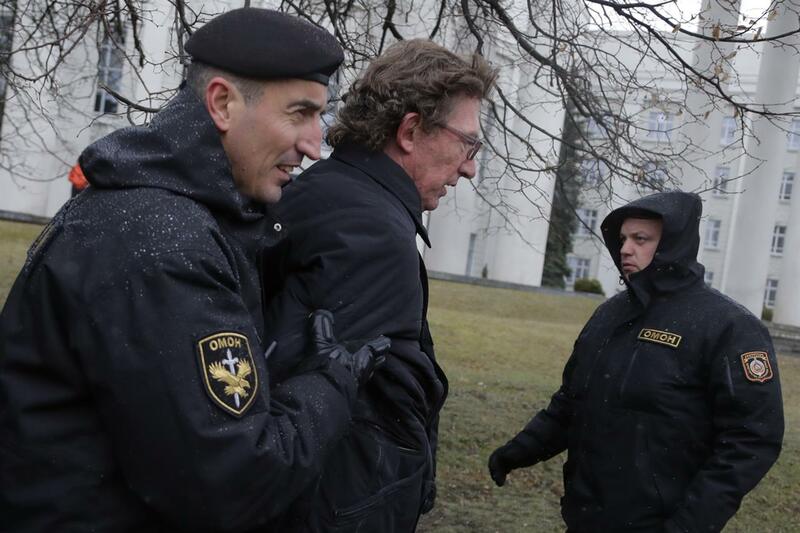 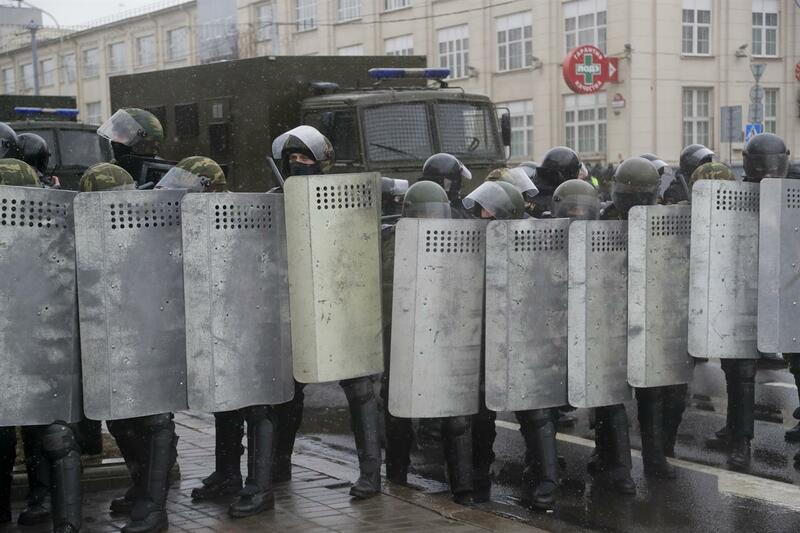 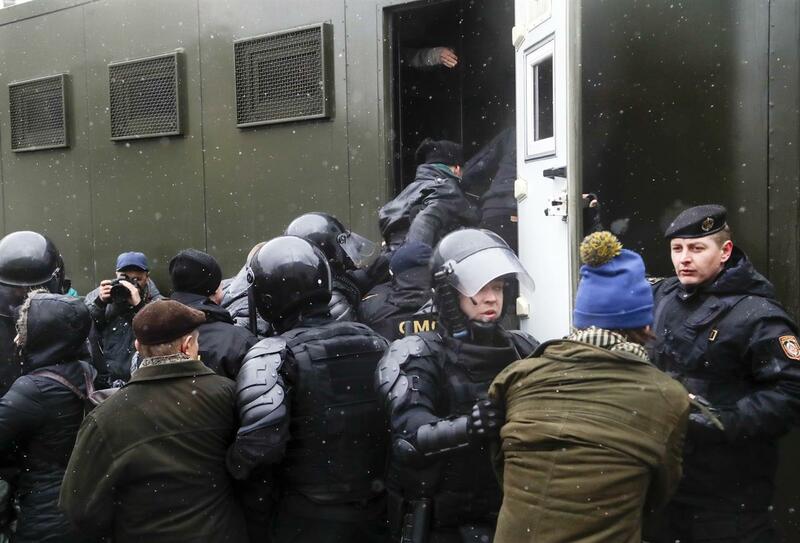 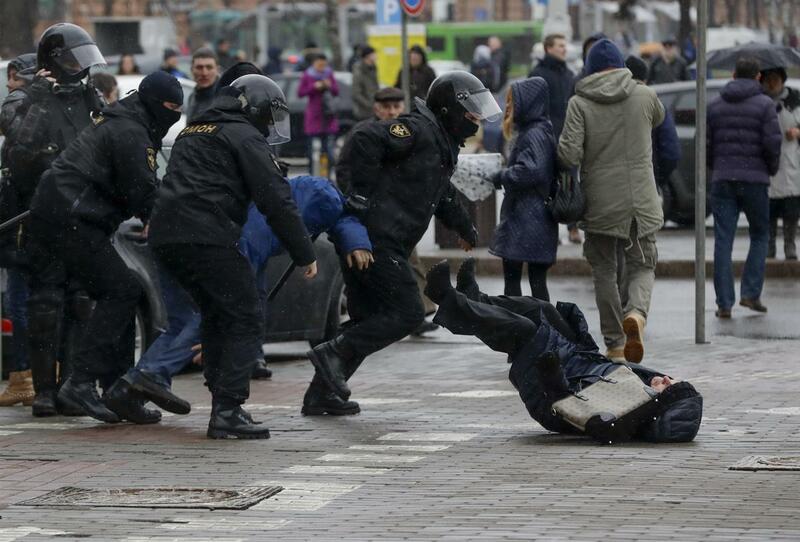 We were treated very harshly," BBC Belarus correspondent Sergei Kozlovsky told the AP. 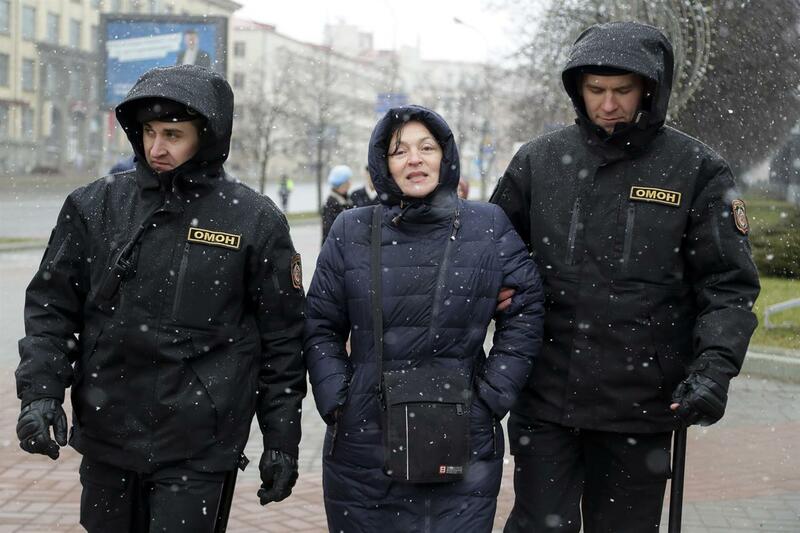 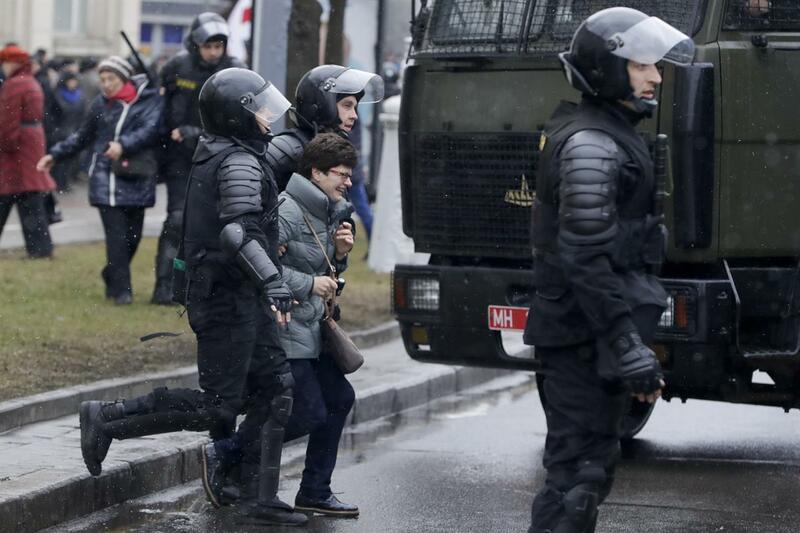 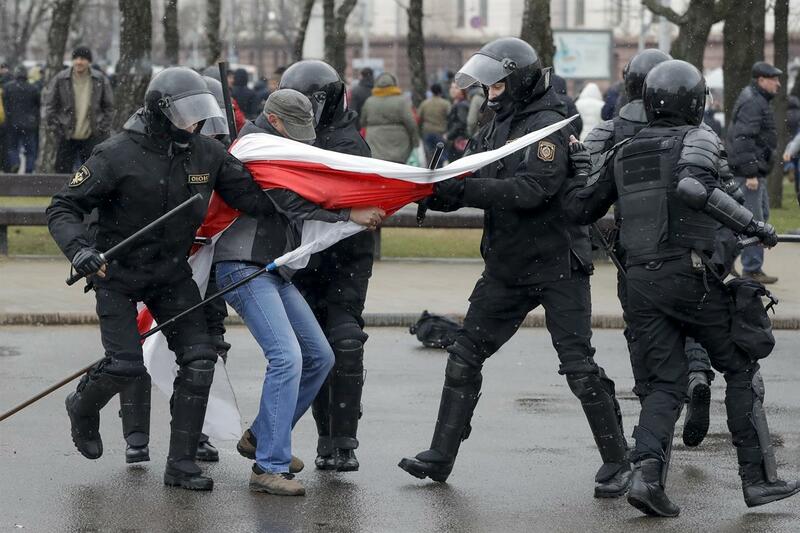 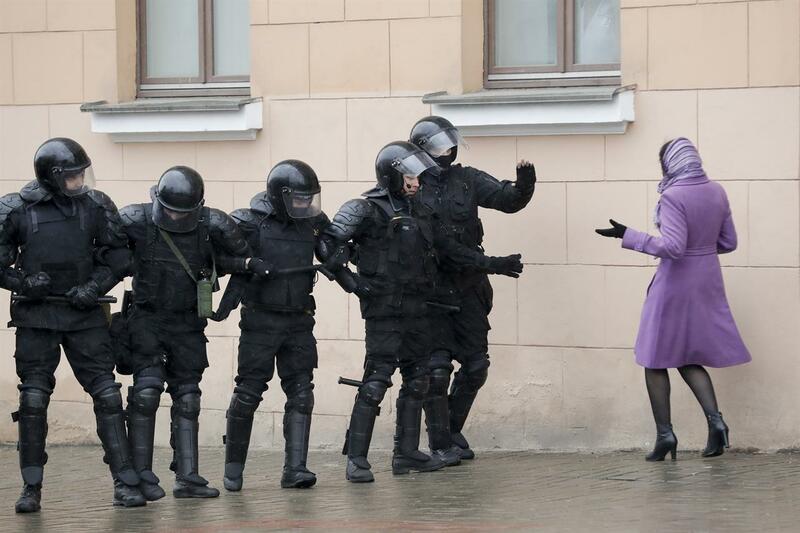 Belarus police detain a woman prior to an opposition rally in Minsk, Belarus, Saturday, March 25, 2017. 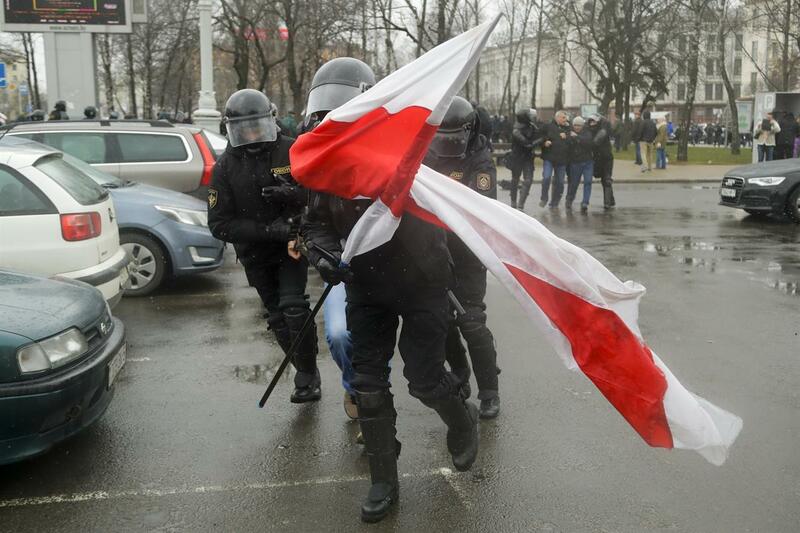 Over the past two months, protests have broken out across the country of 9.5 million, sometimes attracting thousands — initially they were focused on the labor law but have grown to encompass calls for the resignation of President Alexander Lukashenko, whom critics call Europe's last dictator. 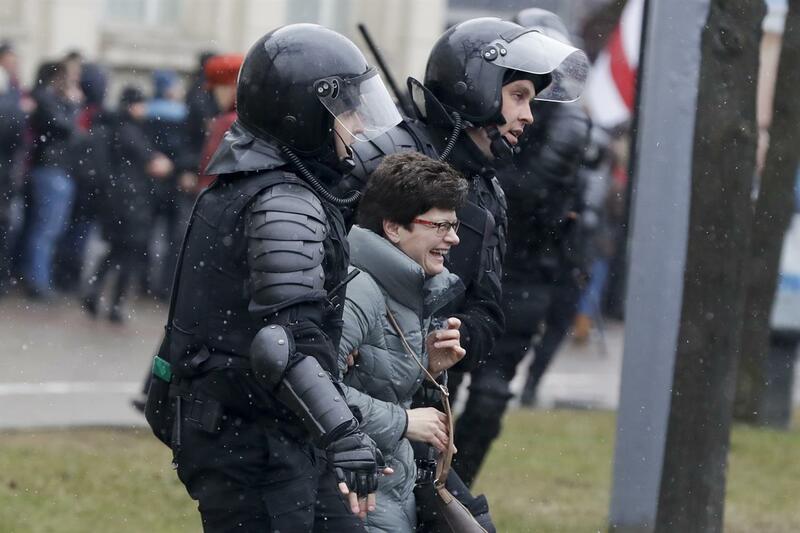 Belarus police detain an activist prior to an opposition rally in Minsk, Belarus, Saturday, March 25, 2017. 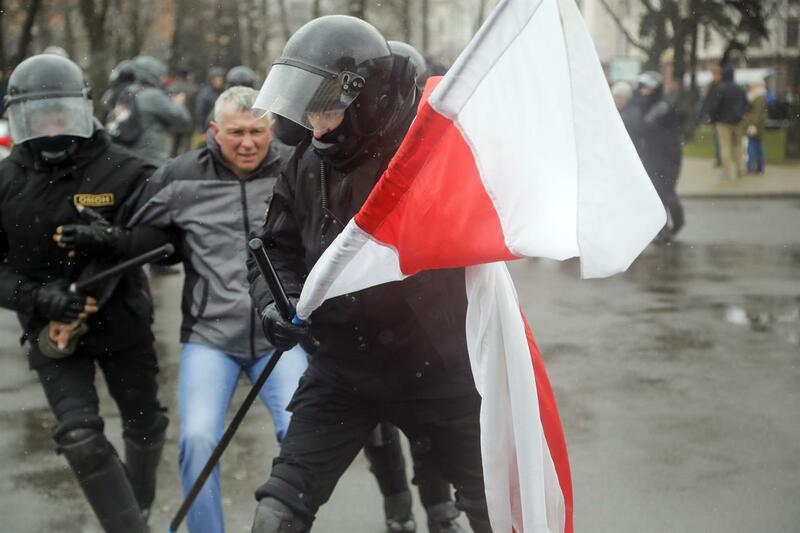 Over the past two months, protests have broken out across the country of 9.5 million, sometimes attracting thousands — initially they were focused on the labor law but have grown to encompass calls for the resignation of President Alexander Lukashenko, whom critics call Europe's last dictator. 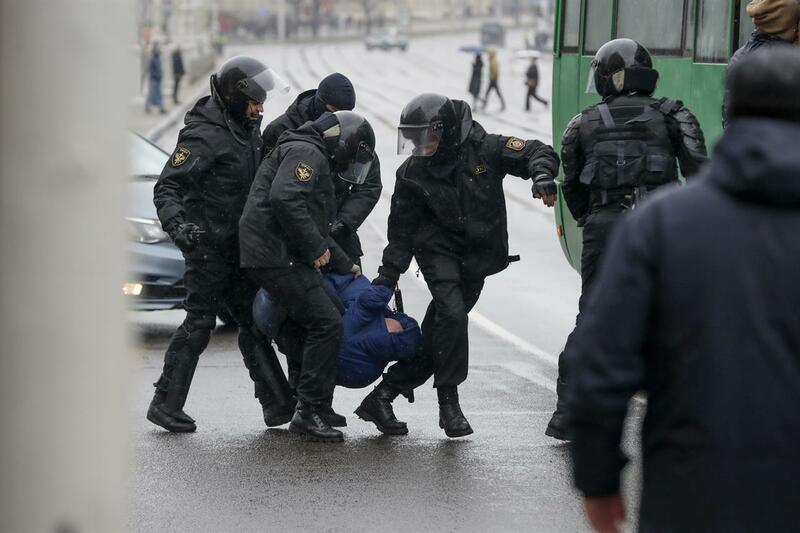 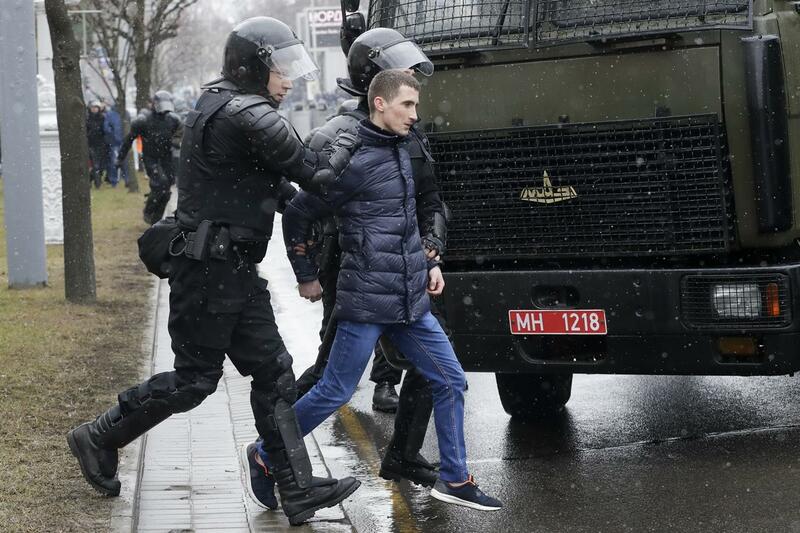 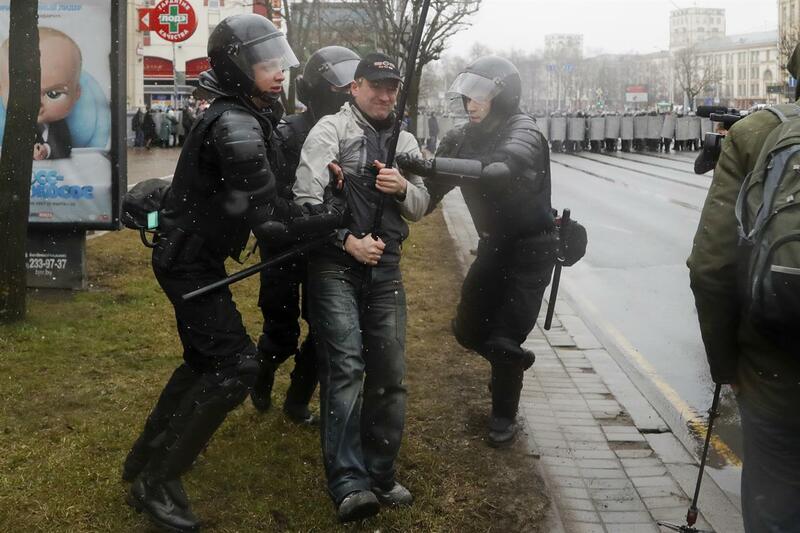 Belarus police detain a man prior to an opposition rally in Minsk, Belarus, Saturday, March 25, 2017. 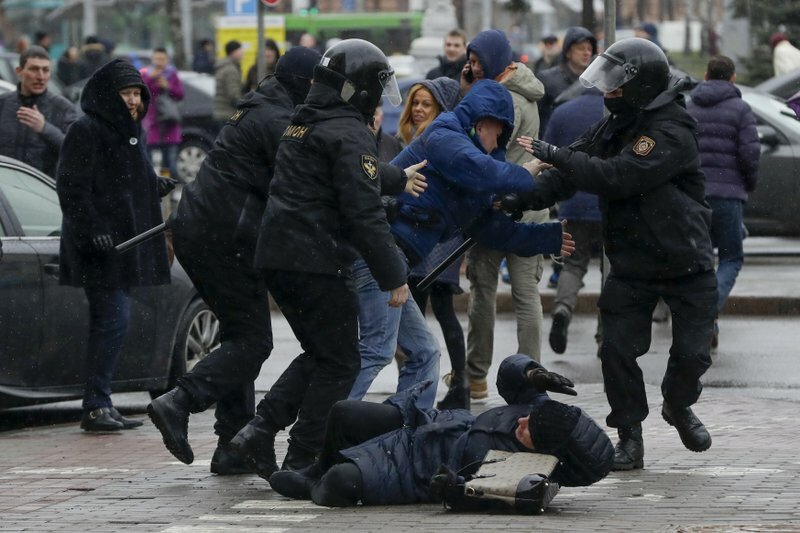 Over the past two months, protests have broken out across the country of 9.5 million, sometimes attracting thousands — initially they were focused on the labor law but have grown to encompass calls for the resignation of President Alexander Lukashenko, whom critics call Europe's last dictator.